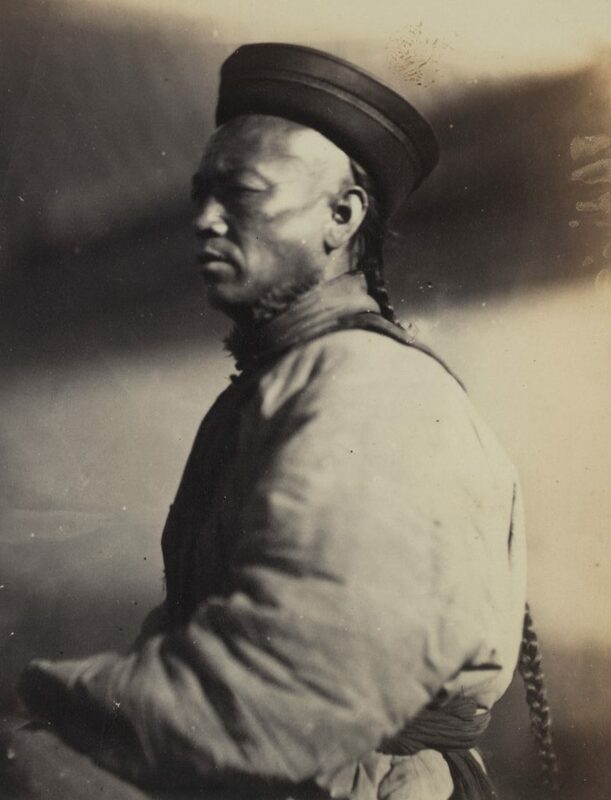 Continuing our theme of historical photographs of China in the archive collections held by SOAS Library, this week’s blog looks at an interesting set of photographs taken by a Russian photographer in Beijing in the years 1861-1864, found in the London Missionary Society archive. The photographer is unidentified, but the collection intriguingly includes his self-portrait. 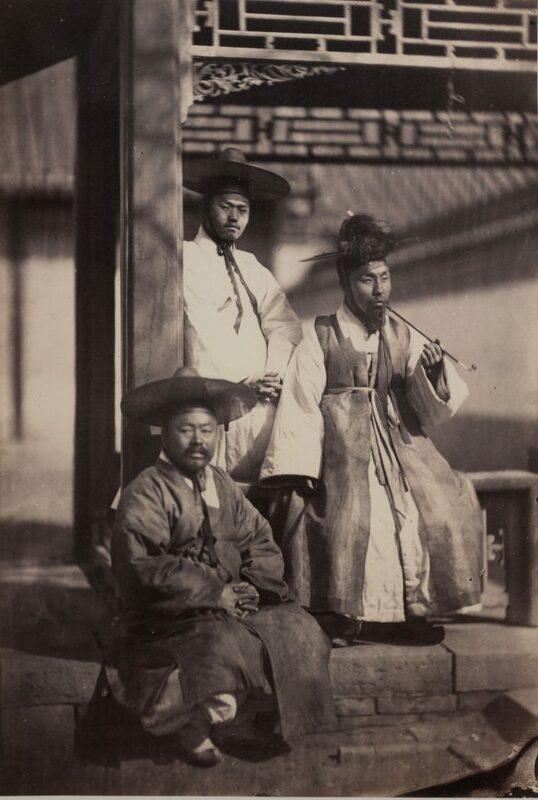 The set of 37 sepia prints dating from c.1861-1864, includes a number of striking individual and group portraits of Chinese, Korean, Mongolian and Russo-Chinese subjects. There are also some general views and street scenes of Peking [Beijing], including images of the Russian Legation and Russian Cemetery. The prints are captioned in English and Russian on the reverse. The prints are thought to have been collected by William Lockhart, who was among the pioneers of medical missionary work for the London Missionary Society. He travelled to Canton [Guangzhou] in 1838, opening hospitals at Macao [Macau] and Shanghai before opening a mission in Peking [Beijing] in 1861. 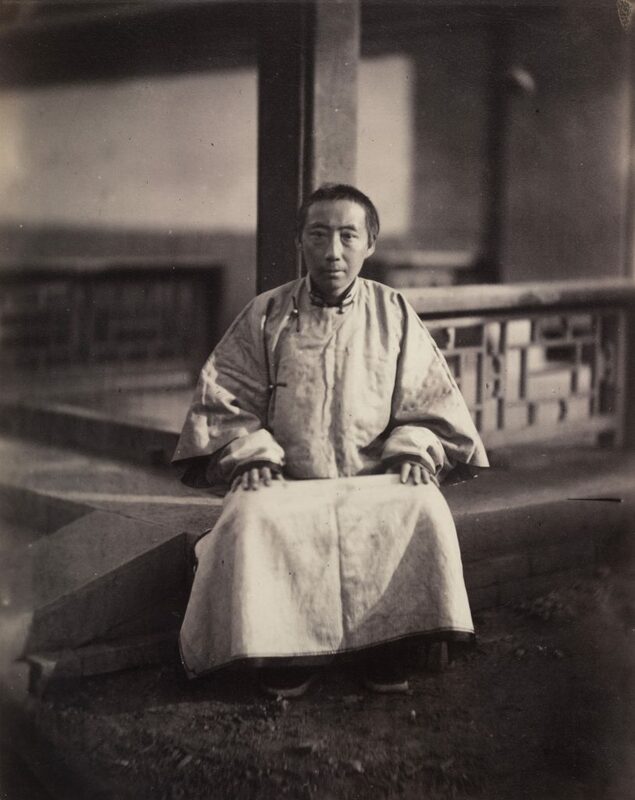 Lockhart left Peking in 1864, although he remained connected with the Society, serving as Chairman of the Board of Directors in 1869. Lockhart obtained these prints during his time in Peking, and they came into the London Missionary Society archive collection in the 1960s from Constance Patterson [née Brown], who had been presented with them by Lockhart’s daughter. ‘Teacher in mourning probably for his father’, c.1861-1864. 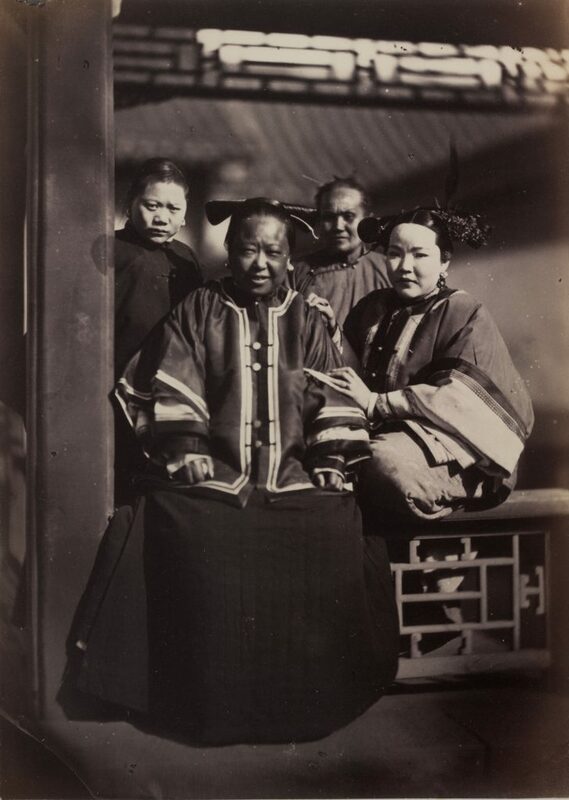 ‘Russo Chinese females – ladies & servants’, c.1861-1864. 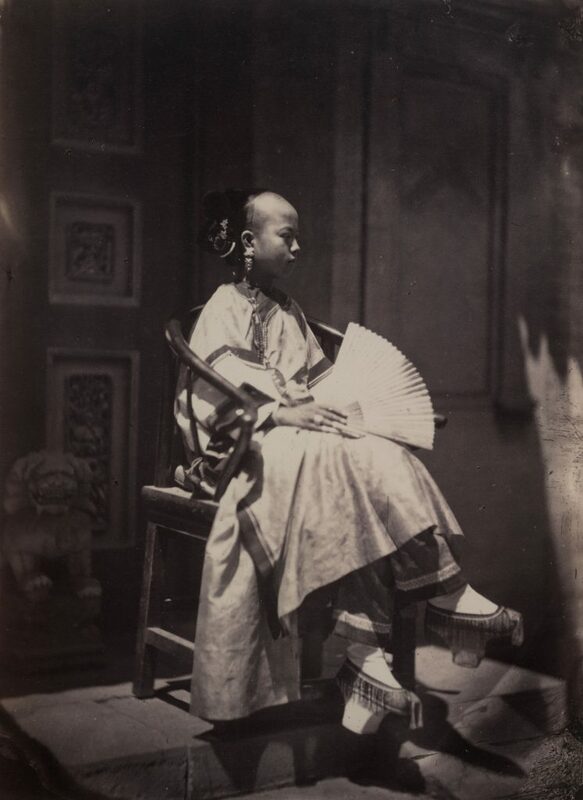 ‘Manchu girl in full dress’, c.1861-1864. Original prints can be ordered and consulted in the Special Collections Reading Room. Digitised versions of these images and other photographs from the missionary archive collections at SOAS can be seen on the International Mission Photography Archive.The historical images in the International Mission Photography Archive come from Protestant and Catholic missionary collections held at a number of centres in Britain, Europe, and North America. The photographs record missionary endeavours and reflect the missionaries’ experience of communities and environments abroad. More information on this resource can be seen on their home pages. 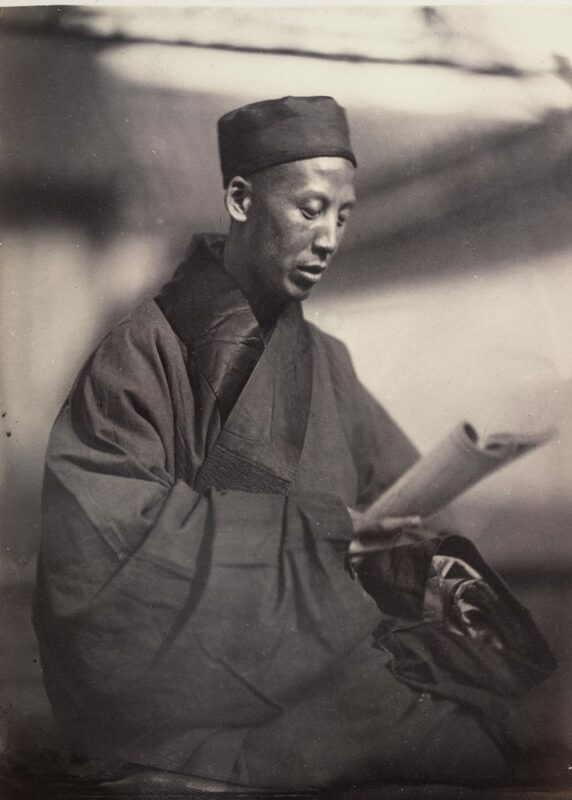 For those who are interested in historical photographs of China, the Brunei Galley, SOAS, is hosting an exhibition of historical photographs entitled ‘China and Siam: Through the Lens of John Thomson’, which runs until 23 June 2018.